June 3rd, 2013 | Moving Tips. Google is ubiquitous, and certainly by now there’s not a computer user on the planet who has not used Google in some manner. Since we are always trying to take the stress out of moving for our moving customers, we decided to investigate the many free tools Google makes available and how those tools could help your next move go more smoothly. To use the Google tools we’re outlining here, you’ll have to create a Google account if you don’t already have one. Gmail is the Google email system. If you choose to use Gmail, it serves as a convenient hub for all of Google’s other tools mentioned in this article, and it offers some nice syncing capabilities. One added bonus of using Gmail during the moving process is that you can use the account for communications with moving companies, cleaning companies, utilities, and other services so that all email communications related to your move are collected in one place. Google Drive acts as file storage. You can store moving contracts and other digital paperwork, lists and other important documents related to your move on Google Drive and never lose anything during the confusing and disorienting packing and moving process. While you’re en route to your new home, you can access all of these files via your tablet or smart phone. In Google Drive you also have access to Google Docs, Google’s document creation tools. Create spreadsheets that maintain an inventory of your belongings prior to a move, or lists of items you’ve donated during downsizing for tax purposes later. 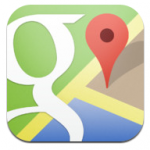 As most of us are well aware, Google Maps is an incredibly powerful tool. In terms of making good use of Maps during your move, the opportunities seem endless. Google Tasks is literally a “to do” list tool. You can create as many task lists as you need, and name each one for easy organization. You can sync your Google Tasks with your Google Calendar if you choose. Imagine the convenience of having multiple to do lists in your hand via your smart phone or tablet as you are packing, donating, and throwing out belongings. You can check items off of lists as you complete them, keeping track of all you need to get done during each busy day of the moving process. Google Keep is a convenient place for storing thoughts and inspiration. You can drop images into a Keep note for those moments when inspiration for decorating your new home strikes, or just make note of an idea someone mentions to you during conversation. Just think of all the small things you think of then forget when you are planning a move, or thinking about home improvements on your new home. YouTube has become one of the best do-it-yourself resources around, and planning to move is no exception. There are how-tos on everything from packing fragile items to giving your house more curb appeal. Check out Wheaton World Wide Moving’s YouTube channel for a series of short, simple packing tips from the Wheaton pros. With so much to do and keep track of while you’re organizing for a big household move, why not make good use of your mobile device and the excellent free tools from Google to reduce the stress of moving? We spend so much time on our mobile devices, put them to work for you while you move!